expEYES is from the PHOENIX project of Inter-University Accelerator Centre, New Delhi. 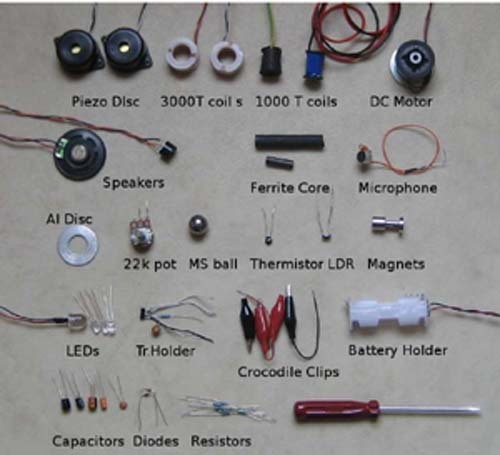 It is a hardware & software framework for developing science experiments, demonstrations and projects and learn science and engineering by exploration. 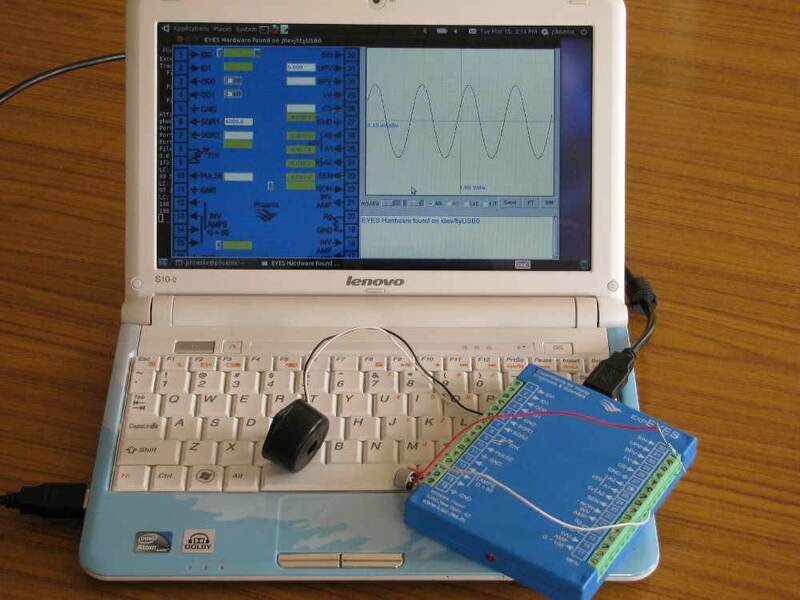 Capable of doing real time measurements and analysing the data in different ways. Analog voltages, in +/- 5 volts range, are measured with 12 bit resolution (around 1.25 millivolts) and time intervals with one microsecond. This project is based on Free and Open Source software, mostly written in Python programming language. The hardware design is also open. A science laboratory at home becomes an affordable idea, with expEYES, costing around Rs.3000/- and the stuctured design supports adding more experiments without much effort. The expEYES hardware is interfaced and powered by USB, having a size of 11 x 9 x 1.5 cm and weighs 150 gm. There are 32 terminals arranged in two rows where you can connect external signals, within +/-5 volts range, for control and measurement. 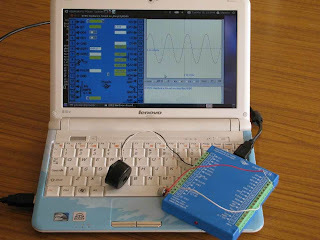 It can function as a signal generator, frequency counter and low frequency oscilloscope . I actually planning to do this project with the support of online functionality.i.e you can control any devices that you already connected with these expeEYES through web.Here i use Javascrpt/HTML as my Front-end support and Python would be the back-end. Here you could connect several other devices with this expEYES , and can do several experiments with the support of expEYES.The accessory set that could connect with this expEYES is shown below. The communication with the expEYES is done using a library written in Python language.Programs with GUI have been written for many experiments.They will run on any computer having a Python interpreter and a Python module to access the USB port. Debian packages are available for Debian and Ubuntu GNU/Linux distributions.